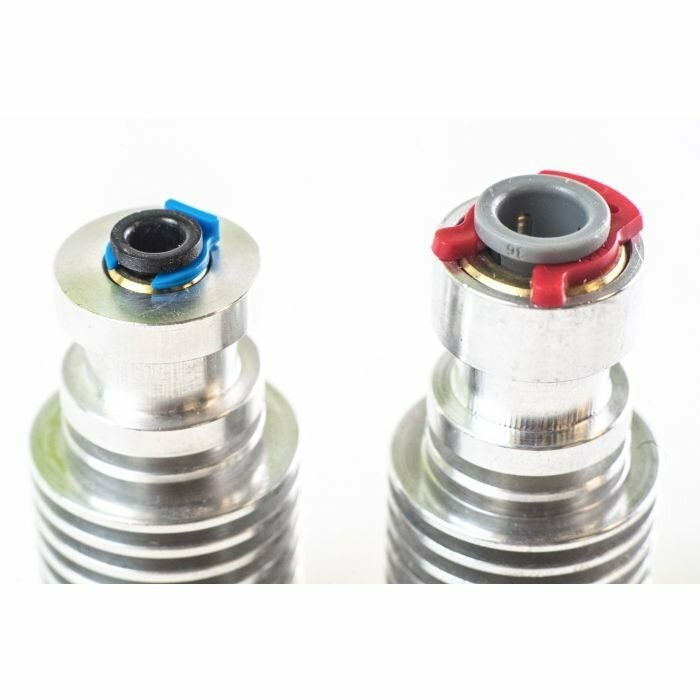 These collet clips are designed to eliminate the backlash created by the collet in our embedded bowden couplings. The collet clip should be pushed under the plastic collar, where it stops any back and forth movement of PTFE tubing when extruding and retracting. This greatly improves the precision of the HotEnd. These collet clips are specially made for E3D and sold in packs of two.